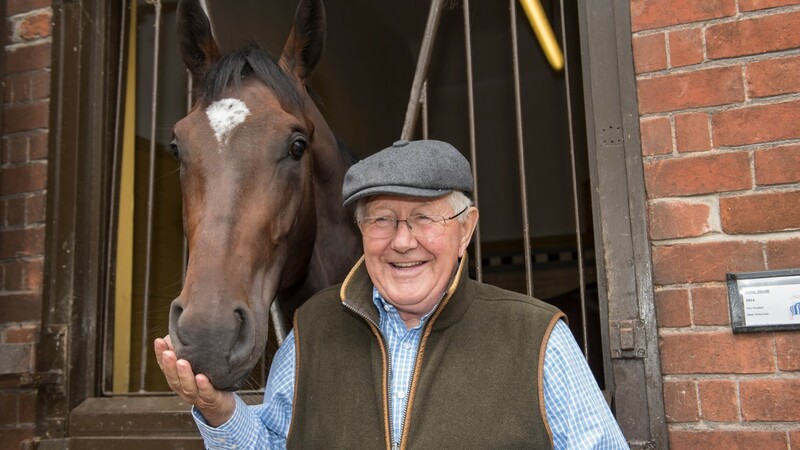 Swiss Storm, the shortest-priced British runner in the ante-post Qipco 2,000 Guineas market, could run on Saturday with trainer David Elsworth entering the Classic 16-1 fourth choice of the bookies in Newbury's JLT Greenham Stakes. The son of Frankel, who would be returning to the course and distance of his easy maiden win last September, could clash with Aidan O'Brien's War Decree – a 16-1 shot for the Guineas – as the Vintage Stakes winner was among four entries made by his trainer in the £60,000 Group 3, for which 18 were given the option of going to post. Second Step looks set to have his first start for Roger Charlton in the Group 3 Dubai Duty Free Finest Surprise Stakes – more commonly referred to as the John Porter Stakes – with the trainer still learning about his new six-year-old. "He joined us in the spring after a winter break and this will be his first run for us. I'm still learning a lot about him but the hope was relocating him might revive his form," said Charlton. "He seems very happy but I haven't asked him to do very much, he's had a very easy time of it working with lesser horses to try and encourage him a little bit, so we'll see where we are." At the opposite end of the experience scale, but also having his first start for Charlton on Saturday, is Kazawi – a three-year-old who is notable for his status as a full brother to Europe's joint champion older horse in 2013 and four-time Group 1 winner Al Kazeem. Charlton added: "He's a huge, backwards horse – mentally and physically – but he's a son of Dubawi and quite tough. He's improved with each piece of work but he's got some way to go before he's the finished article. He's not as forward or as classy as his brother at this stage, but he will improve a lot." Nicky Henderson's Premier Bond heads the betting for the Coral Scottish Grand National at Ayr on Saturday after 40 horses were entered on Monday. Paul Nicholls is responsible for second and third favourites, Arpege D'Alene and Vicente.